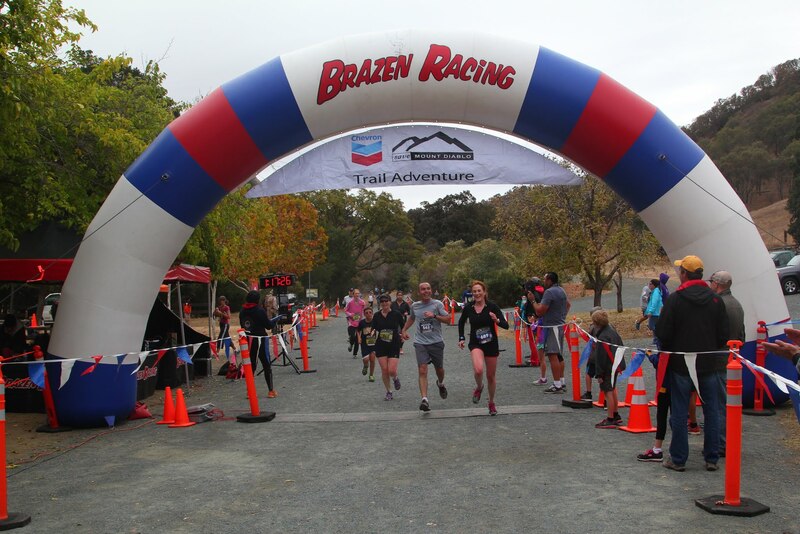 The Brazen Racing Save Mount Diablo Trails Challenge 10k has hills. If you like steep hills, this is the race for you. 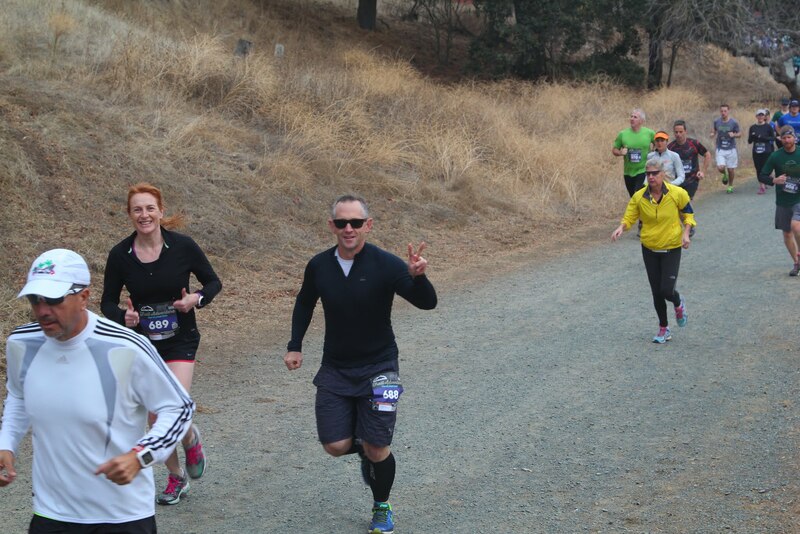 Selina and I started out at a steady but slow pace, and picked it up as the race went along. Some days, it’s hard to stick to the mental promise of “let’s just cruise it today”, and this was one of those days. Put it this way, the last mile was at 7:37 pace, and that’s reasonably quick for (a) my middle-age (b) my body type (c) a trail race and (d) a 10k race. Anyway, I’ve digressed. This was a fun race in a beautiful setting, and a nice way to spend a Saturday morning. What’s more, that’s 43 races completed in our 52-race challenge. 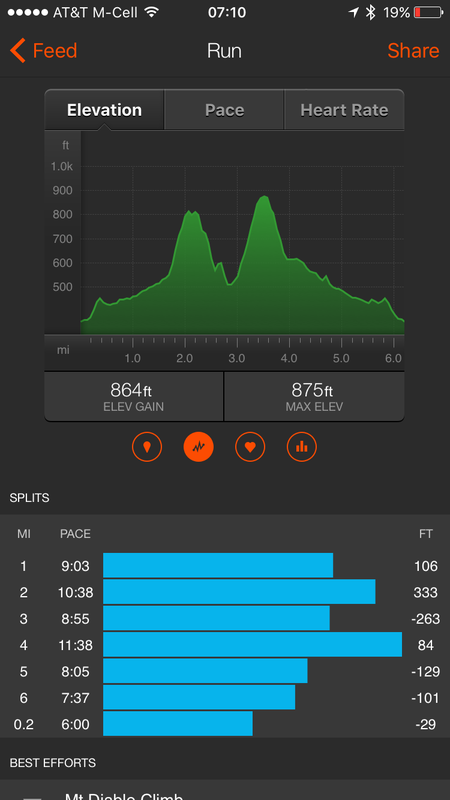 Strava shows you the hills and the pace. Steep!